Backstage & Magliner Carts UK has been supplying the Backstage range in the UK and Europe since 2011. We hold full stock of carts, parts and accessories and provide a full after sales service from our London premises. Contact us by telephone on 020 8493 8383 or visit www.FilmCarts.co.uk for more information. Marshall are best-known in the broadcast & Pro AV industries for their acclaimed mini cameras. New for 2019, 4K/UHD & HDR capture are now all possible in a miniaturised format. Discover more about Marshall Electronics and their products on the Octica Professional booth – stand 322. Our services include a turnkey package of aerial filming co-ordination, the provision of experienced crew, helicopters and camera systems (including multicam arrays) and drone solutions of all sizes for cinematography up to 65mm, vfx lidar surveying and photogrammetry. One of the original grip manufacturers from Hollywood – renowned for their innovation and design. Matthews today continue a long established reputation for making the best lighting grip equipment as well as setting the standards for reflectors, fabrics, scrims and many of the standard grip accessories used on all types of production. The grip equipment available from Matthews is demonstrably better, even the standard griphead with its serrated jaws and can be used to hold up to four times the weight of a standard griphead. At the BSC Expo 2019, Matthews will be showing its latest products: the time-saving Babysittr, the Dutti Dolly accessory the Dutti Dock, and the Monitor Stand II. Our company, our passion Since 1980, MDG has created superior-quality fog and haze generators for entertainment, industrial and military customers. From day one, we have pursued the advancement of our technology to continue making the best generators on the market. MDG – Proudly making the best atmospheric eects. Miller Camera Support Equipment is solely dedicated to designing and manufacturing fluid heads and tripods. Each product is made by passionate and highly skilled craftsmen and employing the highest quality, environmentally-friendly materials. Manufacturing uses high precision CNC machinery and stringent quality control processes. Miller is an ISO 9001 accredited company. When colour is important to your visual narrative, it’s imperative that your colour pipeline is managed correctly. In addition to looking after digital dailies and video playback requirements, Mission Digital is here to ensure the vision of the cinematographer is carried through to post production and enjoyed by audiences exactly the way it was intended to be. MK-V Omega are a World leading supplier of Bodyworn Camera Stabilization Equipment for the Professional Film and Broadcast Industry. MK-V have won many accolades including the Prestigious CineGear Expo 2013 Technical Award for Best Camera Support technology”. Come and Test Drive “Set Simulator” our Virtual Reality Film making Toolkit. Located in Los Angeles, California since 1927, Mole-Richardson Company has long been considered “The Hollywood Standard” for lighting. For the 2018 BSC Expo, Mole-Richardson Co. will unveil their new line of “Variable Color” LED Fresnels, along with other high output LED’s designed for both broadcast and motion picture production. Motion Impossible are specialists in robotic dolly systems and camera stabilisers, creating new and innovative ways to move cameras in film, TV and 360° VR. In December 2018 we launched the Agito, a fully modular system with interchangeable drive ends and the capability of reaching speeds of up to 30mph. Creative, independent providers of professional of Camera, Lens and Grip Equipment for the film, television and commercials industry. Based at Pinewood Studios, Movietech have over twenty years experience in the creation and delivery of professional image capture solutions and quality engineered equipment specifically for the production market. We specialise in providing solutions to help you achieve your shot, we’ve helped develop modular stabilisation solutions that can handle heavy cine camera packages which work on 3D wire rigs, tracking vehicles, Dollies, Steadicam, 360° roll, Remote Head and an intuitive single operator handheld solution with the Exoskeleton. MTF Services Ltd: Experts in all aspects of broadcast equipment. MTF uniquely operates in the UK film and video industry offering sales, servicing, design, engineering and consultancy. Alongside MTF designed and manufactured lens adapters, MTF represents brands including Blushape, Veydra, Brightcast, NiSi and Lockcircle. All available to view during BSC2019. Introducing the NBCUniversal LightBlade® Series – versatile production lighting systems featuring reference-quality tunable white light combined with a saturated color system developed by Cineo Lighting. The basic Lightblade is a linear fixture that can be connected modularly. The series also includes pre-configured systems: Lightblade Ladder, and the 4’ x 4’ LB1K. Octica partner manufacturers include ABC Products, BB&S Lighting, Bebob, Cartoni, Cinelex, Cineroid, CVW, Fomex, Gaffers Control, True ND & VELVET Light. One Stop Films is a camera rental facility based in Three Mills Studio, East London. It is our 10th year of operations. With a large artillery of rare vintage anamorphics and sphericals we supply film and digital cameras to commercials, feature films and dramas. Here at Optical Support, the UK’s leading Lens & Steadicam Specialists, we have supported award winning films & productions with our range of specialist camera equipment, for over 20 years. Whether it’s a low budget film or a full length feature, we can provide you with tailored service to meet your production requirements. Come to visit us to see a range of new and exciting products. Official ARRI CSS Dealers & Trainers, Trinity, Maxima, New SRH-3 stabilised head. Flowcine, Dual Black Arm, Tranquiliser XL, X Bone & X Arm. OS Products, Jackal Rickshaw, D-Box 3S, Impact 200 batteries. Glassmak Studio Mirror for make up and hairdressing artists. Powerful and compact video assist equipment made specifically for QTAKE high-requirements. One system can capture, playback, edit, chromakey and apply VFX at realtime. Ovide Smart will be showing the Smart Assist 4EVO, Smart Assist 2EVO and the newest: Smart Dock, a compact solution to set up with an Apple MacBook. A passion for innovation and exceptional pictures – that’s the maxim of P+S TECHNIK, the Munich-based manufacturer of top end professional film equipment. P+S TECHNIK offers the widest range of rehousings for vintage lenses as well as expert lens service and spare parts. Anamorphic lenses and adapters are further tools developed for cinematographers to make a difference. Special lens systems and professional interchangeable lens mounts round off our optics portfolio. Further award-winning products: Skater Scope, Skater Mini dolly, T-Rex, Weisscam, Pro35. PAG is the UK designer and manufacturer of innovative camera power solutions for digital cinematography and video production. PAGlink is the industry’s most technologically advanced system of intelligent linking batteries, chargers and power accessories. The new Mini PAGlink system comprises smaller, lighter, 50Wh batteries and smaller battery mounts, designed to power compact 4K+ camcorders, such as the Panasonic EVA1 and Sony FS5, and their accessories. The batteries provide the 12V & 5V outputs required. You can prioritise weight by using 1 or 2 batteries when shooting handheld, or prioritise power, using 3 or more linked batteries when your set-up is tripod mounted. The PAGlink and Mini PAGlink systems are available in V-Mount and Gold Mount formats. Panalux lights the world of film, television, and media production. As a major rental company for productions, Panalux understands the lighting needs of their clients and offers dedicated support and developing practical, ground-breaking lights in research & development, such as the new AmphiTubeX1 – an amphibious lighting system that runs at full power in and out of water. Panalux is committed to expanding what is possible in the world of lighting and innovate the industry. This year, Panasonic will showcase the full VariCam line-up – the flagship VariCam 35, the compact VariCam LT, and the VariCam Pure, which provides 4K uncompressed RAW at up to 120fps, all of which can be configured to meet a variety of production scenarios. In 2018 we saw a number of major releases that were shot on the VariCam series. These included the box-office hit Crazy Rich Asians, shot by Vanja Cernjul, ASC, as well as Netflix Original series’ including Ozark Season 2, Arrested Development and a number of shoots from the forthcoming Our Planet, and HBO feature Fahrenheit 451. The recently launched AU-EVA1 will also be on show at the BSC Expo. Thanks to its newly-developed 5.7K Super 35mm sensor, dual-native ISO sensitivity and lightweight design, EVA1 is a camera that fulfils a wide range of run-and-gun and handheld shooting styles. We will also have Lumix on hand to demonstrate the latest in its GH series technology. Panavision is one the leading camera rental facilities in the world, with Panavision UK leading the European division. 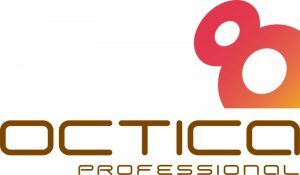 Dedicated to supporting the future of film, they provide unparalleled service to features, television, commercials, and music videos for whatever the needs of the production. Quality and craftsmanship are at the heart of the Panavision ethos which is reflected in their lenses and their client care. Seen for the first time at BSC Expo. Panther’s latest dolly development S-Type. Discover the advantages of different dolly concepts: scissors-arm and center-column. Powered by an electro-mechanical drive system the S-Type thus is the world‘s first of its kind. Panther presents this new product along with its corresponding accessories range. Also on display Panther’s PMT Mono Rail system which has become extremely popular, including its expanding range of levelling options. Paralinx manufactures premium wireless monitoring solutions for motion picture and video production. Paralinx products are designed and manufactured in Southern California. PDG Film Services is the specialist aerial filming department of PDG Aviation Services. The ‘PDG Film Services’ name is new but our experience in aerial filming for television, movies and commercials extends over 40 years. We deliver the highest standards in aerial filming using a combination of state of the art camera systems, safe and reliable aircraft and highly experienced crew. From a basic hand-held camera shoot to a full on movie production anywhere in the UK and Ireland, we are here to help. Our range of services includes aircraft, cameras, crew and ground support facilities including in-house aircraft engineering. All of our services are available on location anywhere in the UK and Ireland from our bases in Inverness, Glasgow, Birmingham and Dublin. We offer an impressive range of aerial camera systems from Cineflex, GSS and Shotover, which deliver the highest standards in aerial cinematography. From HD to 8K we have the equipment and experience. PDG Aviation Services own and operate the largest inshore fleet of helicopters in the UK, we supply aircraft for filming, transportation of crew and equipment including underslung loads and aircraft for use as props. Our filming department includes camera operators, film pilots and operational staff who together have an in depth knowledge of aerial filming and can provide specialist advice on all that’s needed to plan and deliver a successful aerial shoot. More than 30 years of product development has ensured the Peli™ range of cases is the market leader in vital protection for film and broadcast equipment. Offering watertight, dustproof and crushproof security, Peli cases are backed by the legendary “You break it, we replace it” lifetime guarantee. Peli cases are produced in over 80 sizes and protect sensitive equipment against extreme conditions. The automatic pressure equalization valve stops moisture from entering the case and prevents vacuum-lock so it can be opened easily at any altitude. Significant investment has been made by the Peli UK Group in their foam engineering facility, MSA Foams. By developing their protective packaging services they offer a wide range of specialised foams, designed for individual requirements, ideal for sensitive equipment. 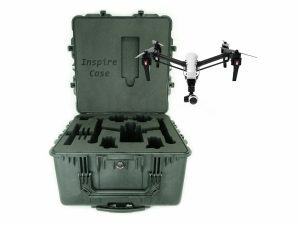 Peli Cases are the perfect out-of-the-box solution for drones and UAV gear with space to keep all the essential accessories properly organised to get up and flying quickly. The cases are water and dustproof making them ideal for use on location; they feature large grab handles for easy handling and have wheels to assist with transportation. Custom foam inserts are designed by the team at MSA to specifically meet the requirements of each drone kit, providing additional pockets for specific accessories: controllers, spare blades or props, GoPro or similar action cams, batteries, chargers and cables, gimbals, and operating manuals. Not only does this keep each item fully protected, it provides visual confirmation that each component is present when preparing for or completing a shoot. 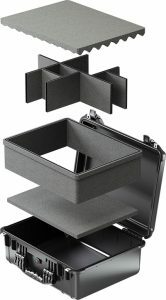 TrekPak™ divider systems will be on display and are now available for Peli Protector, Peli Storm and Peli Air cases. The Trekpak™ system allows the case to be fitted out with flexibility and precision. Together with the Peli base and convoluted lid foam, the TrekPak system forms a protective cocoon inside the Peli case. Lightweight, strong and almost impossible to tear or shred, the panels take up little valuable case space without compromising on protection. We manufacture lighting for all areas of image capture from still photography to motion pictures. Our current focus is on high quality remote phosphor LED products such as our Highlight LED range and the PB80 Redhead. However we also offer tungsten, fluorescent and HMI lights. Peaky Blinders, Britannia, and The Feed all count on our professionalism. So can you. Pinewood MBS Lighting is a world leading provider of lighting equipment and associated facilities to the global film and television production industry, including the exclusive supply of services to Pinewood and Shepperton Studios. Our service combines decades of experience with an unrivalled collection of cutting edge production solutions that embraces both the conventional and the very latest in advanced lighting technology. Power Gems celebrates its 25th year designing and manufacturing electronic ballasts for Film & TV and Entertainment markets. We design a full range of HMI portable ballasts starting from 200W upto 24,000W, on display will be a full range of power supplies – all with unique modular design offerring High Speed 1000Hz output frequency and greater reliability. Preston Cinema Systems produces advanced lens control systems. The Light Ranger 2 focus assist enables critical focus with the latest large format camera sensors. The new DM5 motor and MDR4 two-channel motor driver address requirements for minimal size high performance lens control for Steadicam, hand-held, and drone applications. 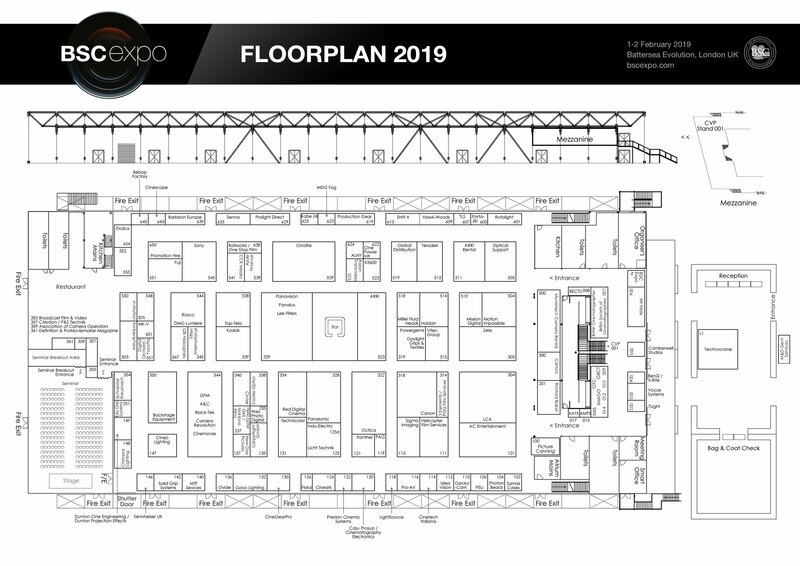 Equipment reseller Production Gear will be showcasing the latest camera and production technology with new products and innovations from well known brands including Easyrig, Kupo, Genus and many others. Drop by to get hands on with the latest kit and to receive exclusive show offers. For all your equipment needs, the team at Pro Motion is here to support you. As technology is evolving, so are we – by continuing to stock and invest in the latest products at the cutting edge of moving picture technology, we are leading the industry with our innovative approach to solutions and customer service. We are your equipment partner – by supplying equipment and services to a diverse range of clients, from broadcast production companies to digital agencies and record labels, we understand your expectations. Together with your brief we translate that knowledge and experience into the right equipment package for your production and with offices in London, Manchester, Liverpool & Brighton, we can supply equipment to your door, wherever your project takes you, worldwide. Prolight Direct Ltd, the Film and TV professional lighting supplier, selling with expert advice from experienced lighting professionals. Prolight Direct supplies the best professional brands of Film and TV continuous lighting equipment at the most competitive prices. Our products are from Aladdin, Kino Flo, Dedo Light, ARRI, SUMOLIGHT, FX LION, Light Star, Exalux, SENNA and Light & Motion, they are the best brands available on the market. Aladdin are one of the most innovative lighting manufacturers in the world. They produce beautifully crafted lighting fixtures with unsurpassed colour quality. From the Bicolour Flex Lite to the Eye Lite nothing compares, and now the ALL IN 1 and 2 have RGBWW. Senna Lighting – the senna Light Wall is a powerful luminaire with an amazing strength of up to 75000 LUX giving you great punch light (depending on the beam angle you choose). It is composed of 20 LED panels, all controlled wirelessly with control plate or DMX, which enables you to set the lights quickly and easily. In addition to 10 special effect templates (fire, candle lights, thunder lights, TV, police lights…), the system allows you to make your own pre-sets of light and store playlists of pre-sets. Fading between light scenes in reply is adjustable. The Wall runs on mains power or 8 V-mount batteries, so it can be used outdoors as well. You can choose between bicolour or daylight wall. Light Star produce the most powerful punch lights on the market the LMAT 12 is 2160w of LED light with a 25degree beam angle giving you power not seen before from an affordable LED light, less than half the price of any other similar fixture yet built to last in the rental market. ARRI‘s extensive range of lighting products offers an abundance of creative lighting solutions. ARRI lights are put to use across the world on feature film and TV productions, in TV studios and at major sporting events. ARRI’s versatile products meet the diverse needs of the lighting profession for projects of any size and in situations where the highest light output is required. Proven by decades of use on location and in the studio to perform reliably in all weather and climate conditions, ARRI lights are designed and built by professionals for professionals. FX LION Batteries offer battery solutions from small lightweight 98wh square intelligent batteries all the way up to 1200wh block batteries offering 14/28 and 48v outputs. Exalux produce the most robust / reliable wireless WI-FI and lumen radio products on the market. Offering customers, the freedom of wireless technology with the confidence of reliability. Light and Motion Stella – The Perfect Camera Lights. Stella lights are the most powerful, compact & rugged lights. Rechargeable. Up to 12 hours runtime. Waterproof IP68 some models can go under water. FL-1 Standard Certified. Experience the speed and freedom of cable-free lighting – redefine what it means to ‘run & gun” & cable free your work flow with perfect lighting. Prolight Direct offer advice or a full detailed planning and installation service – we assume responsibility for the success of the project and work hard to provide the best solution within the budget. We pride ourselves on our honesty and integrity and offer our advice and planning based on real experience and knowledge. Prolight Direct offer the latest state of the art technology for high speed filming from the large HMI and tungsten lights to a new range of LED lights are incredibly efficient in both financial terms and light output for energy consumed. The Senna wall light and Light Star LMAT 12 have be used to shoot 8000-12000 fps in HD on the new Phantom Onyx camera. All this from a LED fixture that you can plug into a 13a socket. Using industry-leading LumenRadio CRMX wireless technology, RatPac’s AKS system allows users to control lighting fixtures directly from their mobile phone, tablet or PC. The Cintenna wireless receivers can plug directly into the back of the lighting fixtures themselves, and require no additional rigging hardware. RED Digital Cinema is a leading manufacturer of professional digital cameras and accessories. The cameras of RED’s DSMC2 line combine compact and lightweight design, superior image quality, incredible dynamic range, modularity and cutting-edge performance. RED cameras have been used on features like “Guardians of the Galaxy Vol.2” and “The Hobbit” trilogy, television series such as “Stranger Things” and “Godless”, and magazine covers like “Vogue” and “Harper’s Bazaar”. For more information, visit www.red.com. GAVO light , the latest plasma high speed film lighting with amazing light quality CRI 98. Come and see the latest in film lamp design technology. Robe Lighting is the world’s premier manufacturer of entertainment lighting fixtures with a huge range of moving heads and digital lighting products. With over 25 years’ experience at the forefront of the industry, Robe is dedicated to producing the very best units possible to meet the ever-increasing demands of the industry. Robe truly has global presence with 9 subsidiary companies in the largest markets in the world including the UK, USA, France, Germany, Middle East, Russia, Asia Pacific and South America in addition to our network of over 100 distributors. Our UK team is extremely experienced in the world of entertainment lighting with over 100 years of experience between them. All our products are developed and produced within our own facilities at our global HQ in the Czech Republic in our 55,000 square meter manufacturing plant where we have over 700 employees who are focussed on producing products utilising the very latest available technology to meet the creative, technical and practical demands of our customers. Ronford Baker are manufactures of academy award winning Fluid Heads and Tripods. The product range also includes Sliders, Billet Bazookas, Track, Beams, Grip Equipment, Transit Cases, and a new range of camera and video accessories. The new Atlas 50 Fluid Head is now available, as well as other products. Founded in 1910, Rosco is a leader in products for the entertainment, film & television industries. Best known for lighting filters, the company offers products in more than a dozen categories, including LED fixtures, green screen paint and backdrops. With the recent acquisition of LED specialist DMG Lumière, Rosco extends its lighting range with new exciting products. Come at BSC 2019 – stand 544 to discover our latest products! DMG Lumière Switch LED lighting family. Rosco is excited to show at BSC 2019 the innovative lighting DMG Lumière Switch range. Filmmakers have praised the Switch range and lighting professionals for their impressive power-to-size/weight ratio and versatility, which make them the ideal set lighting tools. The DMG MINI Switch is a super lightweight and portable panel that can be used everywhere. Weighing only 1.7Kg and with an output of 85W, the MINI Switch is designed for versatility. The MINI Switch comes with a wide range of accessories, which fit nicely in only one bag, making it the perfect companion on any set, location, or confined space, or for documentary shooting. The DMG SL1 Switch was the first light created by the Lumière brothers. The SL1 Switch is the foot soldier of the range, bringing security and comfort to any set. The thin, yet sturdy aluminium housing surrounds high quality white LEDs that deliver an output of 170W of bi-colour light. The SL1 Switch drivers allow the unit to be completely flicker-free with dimmable capability close to zero percent. Together with a broad range of diffusion and rigging accessories, this fixture is autonomous and versatile. The DMG MAXI Switch is the newest and largest light of the Switch family. It was developed based on feedback received from MINI Switch and SL1 Switch users who wanted a bigger and brighter light. The MAXI Switch can deliver an outstanding 520W of LED power. The fixture is a mechanical marvel, built from two panels joined together by a smart hinge that allows it to fold, and makes it easy to transport. The two panels can also work separately and be controlled in “split mode”. SoftDrop™ backdrops. Rosco’s award winning backdrops have been developed in a new seamless fabric solution easier to fold, ship, and install. Offered in all of our Frontlight, Backlight or Day/Night Backdrop technologies, SoftDrop backdrops can be produced as large as 39’h x 170’w (11.89m h x 51.82m w) – allowing filmmakers to shoot from any angle or position avoiding visible seams. Silk™ LED soft light family. Rosco Silk fixtures are specifically developed for film and video applications that demand extremely colour-accurate, high-quality light. Utilizing proprietary, state-of-the-art, tungsten & daylight balanced LEDs, the Silk range is capable of producing a high volume of light output at colour temperatures ranging from 2800K – 6500K. The output from Rosco Silk LED fixtures has been validated using TLCI test algorithms as a source of the highest quality. The resulting metrics indicate that Rosco Silk fixtures will require virtually no correction in post-production. The Silk range has been extended to 5 fixtures to satisfy the requirements of the most discerning filmmakers. The range includes the compact Silk 110, 210, and 205 and the high-volume light output 305 and 220. Rotolight is an award-winning British LED lighting manufacturer for TV, film and photography, offering a range of on-camera, location and studio solutions for creative imagemakers. Rotolight has developed countless industry first features and has been widely recognized with numerous awards and accolades for its innovation, technical excellence and product quality. Featuring a host of innovative features for both video and stills use, the Rotolight family all offer both a powerful flicker-free continuous light and High Speed Sync flash (up to 1/8000th) with zero recycle time. Delivering superior battery performance and featuring AccuColourTM technology for excellent colour rendering; Rotolight redefines the standard of LED technology with its innovative suite of LED lighting – at the pinnacle, the Anova PRO 2 is one of the brightest LED lights in its class, designed for professional studio/location use. For photographers on location, the Rotolight AEOS has a unique ‘ultra-thin’ design concept with integrated aluminium handles to work the light in any location. A photographer’s secret weapon in any setting, the NEO 2 delivers 2000 Lux at 3ft and can be used on or off camera. Visit Rotolight at BSC Expo on stand 102 to see them in action!